the theme for 2010 for me was change. change was a rampant and evident factor in my life, in every aspect that you can think of. it was the year of hellos and goodbyes. a year of firsts. a year of learning, trusting, growing and trying harder. a year of opportunities. of travel. of new places. of new friends. of hard, life-changing choices. 2010 was a time for embracing and growing more in faith and of trusting and leaning in Him. 2010 paved way for opportunities for travel. early the year, i had been fortunate to be sent to the US for a business trip. and since it was winter there, i played with my first snow! also, 2010 was of career changes and growth. earlier this year, i moved to a new team in my previous company. there i had the opportunity to be the only "rose" among the many thorns. and while i initially thought my teammates would be hard to get-along with, first impressions can indeed be wrong. late last year, with prayers, discernment and a whole bucket of tears, i decided to take another off-shore opportunity to go to the land of the merlion, singapore. and while it was not an easy thing to say goodbye to officemates who have become more than just officemates, and to a company where i spent more than 5 years, i would like to believe that hopefully, i'll find whatever i was looking for, my rainbow, here. if all else fails, i always have home to go back to. 2010 had been a jumble of celebrations, of get togethers, of happy and joyous occasions. of outings and a whole lot of lunches and dinners and parties. and days at the beach, too - hurrah to that! it was not all roses, there had been trials along the way too. but with God's grace, no serious harm was done and we all came out unscathed and little bit mature with the lessons the experiences brought. looking back at 2010, it had been a good and blessed year. it was indeed filled with surprises. when 2010 first began, i had so many things planned out or i had envisioned a lot of things for 2010, but the real thing was more than i could ever dream of. no amount of planning or imagination could have prepared me for the many wonderful things that have surprised me last year. it is true, God has better plans than you ever have for yourself. with a smile reminiscent of 2010, i look forward with excitement at the awesome and amazing things coming my way this coming 2011.
photo was taken from my Project 365 photoblog for 2010 here. 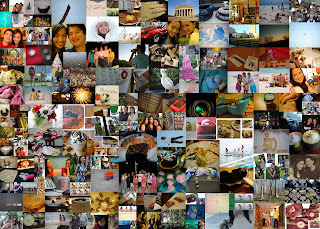 More photos on what 2010 had been for me here.